“We will not forget. We do not want to forget. 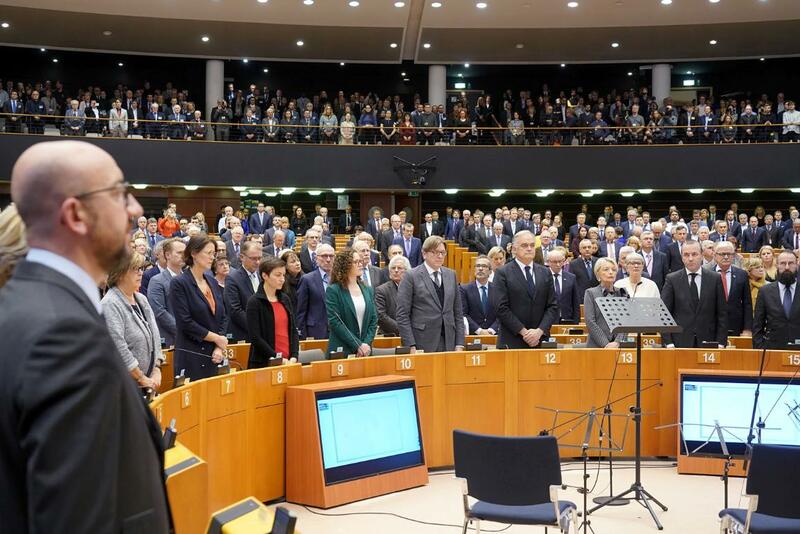 We are renewing our commitment to keep the memory alive and to continuously fight all forms of hatred discrimination and antisemitism,” said President Antonio Tajani. Jewish leader Charlotte Knobloch, former President of the Central Council of Jews in Germany and former Vice-President of the European Jewish Congress and the World Jewish Congress, called on MEPs to fight “growing antisemitism in Europe". “The peaceful and democratic order established in Europe after the war is now in more jeopardy than ever," she said. There was a minute of silence at the end of the ceremony. Tajani said: “We should remember that in order to dedicate a minute to each of those victims we would have to be silent for more than 11 years." This is the first time the European Parliament has marked International Holocaust Remembrance Day in an official ceremony during a plenary session. International Holocaust Remembrance Day is commemorated on 27 January, marking the day in 1945 Soviet troops liberated the Auschwitz-Birkenau extermination camp.